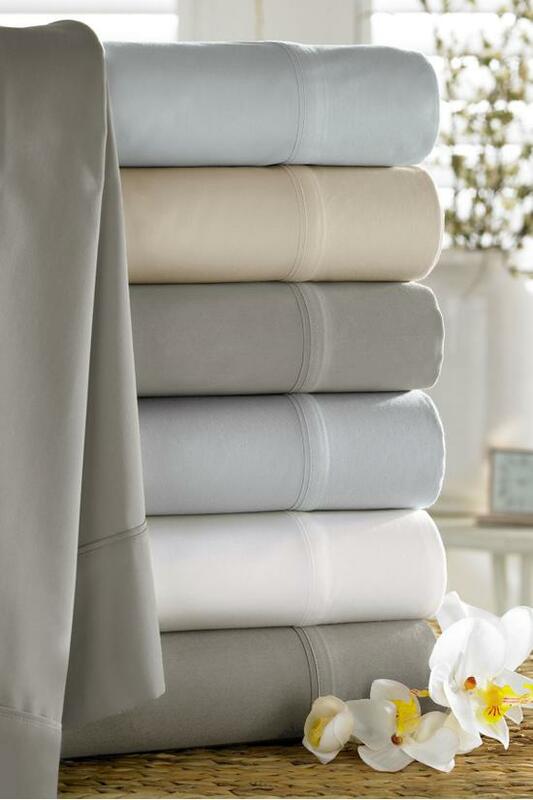 A lush, soft percale of rayon made from bamboo and cotton brings true comfort to any bed. The pillowcases feature a 4" hem, accented with a small, graceful flat welt. 60% Rayon made from Bamboo/40% Organic Cotton. Pillowcase Pair includes 2 pillowcases. Standard Pillowcase: 30"W x 21"L, includes 4" hem. King Pillowcase: 40"W x 21"L, includes 4" hem. MACHINE WASH COLD. NO BLEACH. DRY ON COOL SETTING.